George Clooney as a hitman dodging bullets in picturesque Italian towns sounds like a winner. However, Anton Corbijn’s follow up to Control takes a more existential route than the average moviegoer might wish. Clooney stars as a butterfly loving assassin/gun supplier who, in the opening sequence, is targeted by couple of Swedes who have it in for him. Following the ensuing carnage – which includes one jaw-dropping shock moment – he is sent by his boss to Italy to hide out. Here, he hangs out in coffee bars, chats to a local priest, and contemplates the emptiness of his life while getting closer to a prostitute – despite having learned the hard way that friends are a bad idea in his game. The film looks good, with beautiful locations and a hot cast. Emotionally, though, it’s cold. The film is as taciturn as its lead character, aiming very much for an arthouse atmosphere, even in the action scenes. It would not have been a surprise to see the director’s credit reading, ‘Steven Soderbergh, after Antonini’. I was also reminded of Asif Kapadia’s The Warrior, another arthouse flick dressed up – possibly by the marketers rather than the makers – to look like an action thriller. There’s plenty to admire here, but the general public may feel the film has been missold. 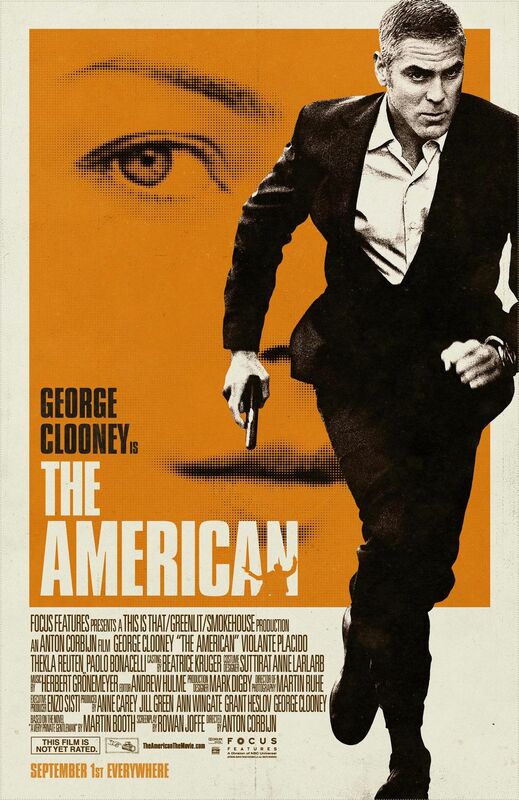 This entry was posted in Festivals, London, Reviews and tagged Anton Corbijn, George Clooney, LFF, London Film Festival, The American on October 25, 2010 by Gareth Negus.